day 14: today was a day of almosts… I almost baked something (but I didn’t). I almost cleaned the whole house (but I didn’t clean our room). I almost exercised (but I cleaned instead). I almost brought my camera with me when I went out (but I didn’t). 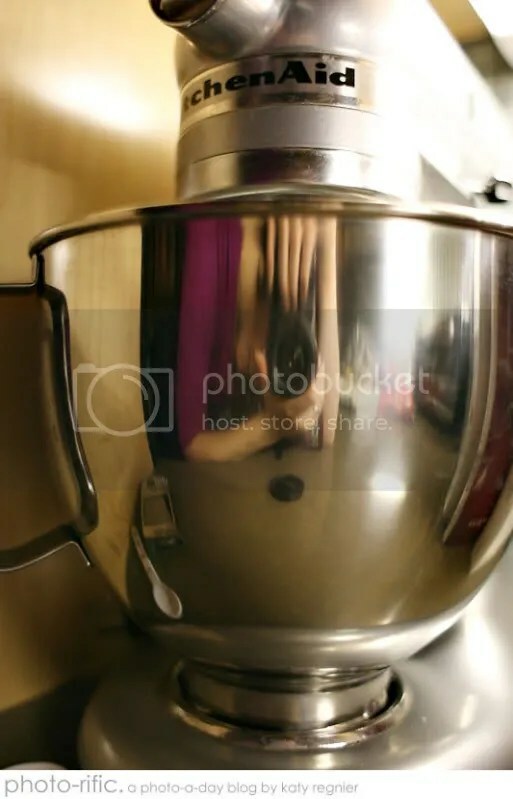 So instead I’m taking a lame reflection in a mixing bowl self portrait. Because I really should be doing one self portrait a week on this blog… but I feel very blah today. Let’s hope I can get it a little bit more together for tomorrow.